Aquaman Is Being Released A Week Earlier In The U.K.
DC fans in the U.K. will be able to visit Atlantis earlier than expected, with Aquaman's release date being brought forward by a week over here. As reported by Digital Spy, the movie is now being released on December 14, while it'll have its release Stateside on December 21. The report does state, however, that there's a chance the worldwide date could be brought forward too. DC films have typically been released at the same time on both sides of the pond, rather than a week apart like Marvel movies (at least, how they used to be), so that would make sense and give the movie a little more breathing room in what's a very crowded box-office field. Also releasing on December 14 are the animated Spider-Man: Into The Spider-Verse and the Peter Jackson-produced Mortal Engines, while the following weeks include Bumblebee, Alita: Battle Angel, Holmes & Watson, and Mary Poppins Returns. 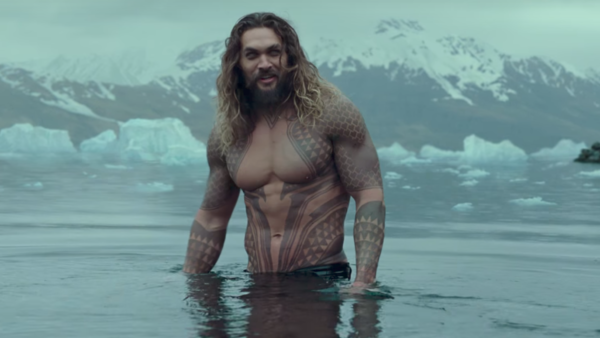 We're still yet to see a trailer for Aquaman, with director James Wan recently shooting down a rumour of its release and explaining he was holding it back because it wasn't ready yet. Hopefully, this means one should be arriving soon though, with the next couple of weeks - so it can play in front of Avengers: Infinity War - a fair bet. Are you excited for Aquaman? Let us know down in the comments.